Ross & Cromarty Roots | Archibald Macdonald. In loving memory/of/Rev. 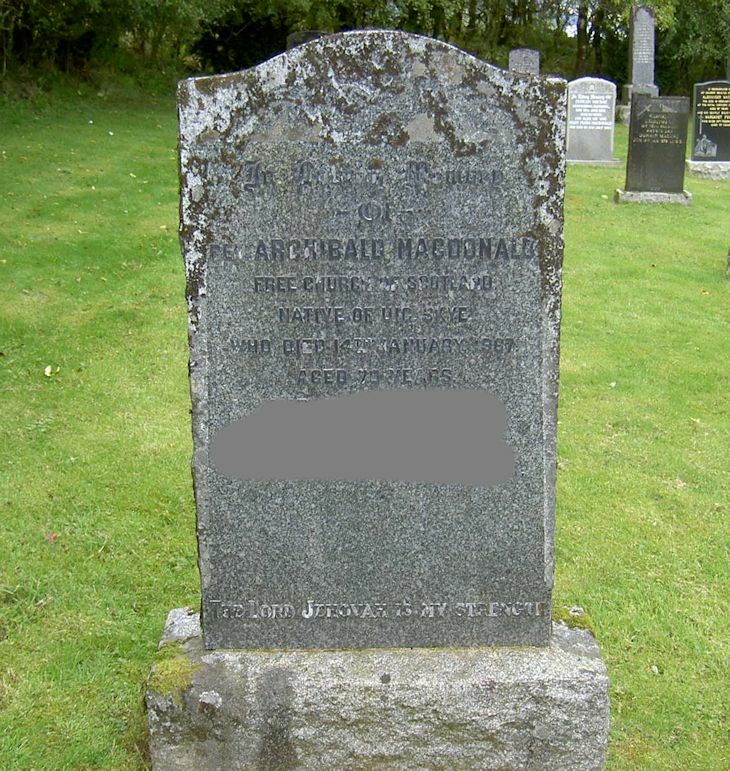 ARCHIBALD MACDONALD/Free Church of Scotland/native of Uig, Skye/who died 14th January 1967/aged 70 years/["recent"]. The Lord Jehovah is my strength.